If you read my post back in September about Gear Acquisition Syndrome (GAS), you know that I’m a firm believer in making smart choices about photography-related expenditures. It’s so easy to get hypnotized by all of the shiny new trinkets and pieces of equipment that if you aren’t careful you’ll find yourself at the bottom of the rabbit hole with lots of great gear, but little else to show for it. 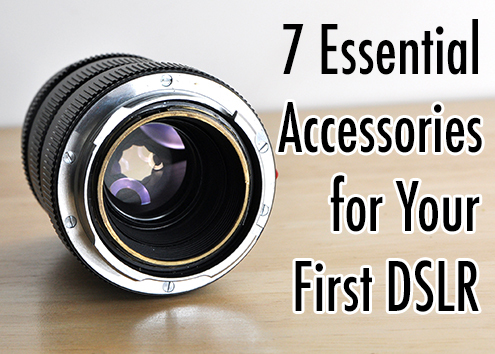 That being said, if you are one of those lucky individuals who just got their first DSLR over the holidays, there are seven accessories which should be at the top of your new wish list. I usually hesitate to use words like “essential,” but sometimes it’s the little things that pack the biggest punch. Camera battery technology has grown by leaps and bounds in recent years. While I can’t really tell you the last time a battery actually died on me during a shoot, I can tell you that they do seem to occasionally sprout legs and play hide-and-seek. Seriously, though, I can usually make it through an entire 12-hour wedding shoot, with charge to spare on a single battery. As a strict adherent to the not putting all of one’s eggs in a single basket, though, the peace-of-mind that comes with knowing there are back-ups is huge. As a side note, it’s also a good idea to have a system for keeping track of what’s charged and what’s spent. 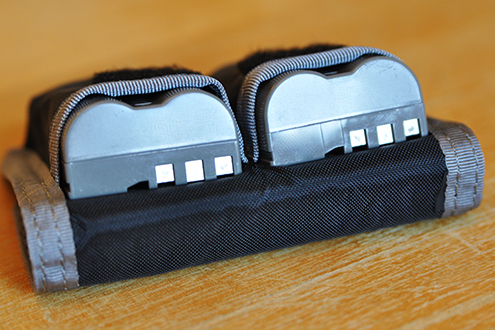 I keep my batteries in a Think Tank DSLR Battery Holder. Contacts down means charged, and contacts up means spent. Finding the right camera bag is no small task. Trust me– I have eight…and I can quit any time I want. If you’re looking for your first, though, one of the best pieces of advice I can give you is to purchase a bag that is bigger than what you think you need. Once you start accumulating the items on this list, as well additional lenses and other accessories you decide you can’t live without, you’re going to start running out of room pretty quickly. The Think Tank Retrospective 30 or City Walker 20 are great “starter size” bags. If your new camera has a built-in, pop-up flash, please promise me you will never use it. It is, by far, the single-most unflattering light source ever created. With my apologies to natural light photographers everywhere, a solid understanding of off-camera flash is one of the biggest steps you can take towards elevating your photography to the next level. The first rung of that ladder is an external flash like the Nikon SB910 or Canon 600EX. There are other “off brands” available, like the Yongnuo, but they tend to have fewer advanced features and only work with manual settings. Make sure you have lots of AA batteries on hand. Unlike camera batteries, speedlights tend to go through batteries pretty quickly. For a long time, the generally accepted wisdom was that you get what you pay for. I once read an article where the author suggested that spending 10% of your camera’s price tag on a tripod was an appropriate guideline. By his rationale then, your $2,000 camera should never go on a tripod and head combination that costs any less than $200. I suppose it’s a viable approach– we often equate higher price with higher quality. 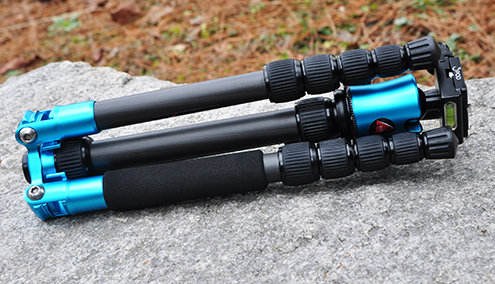 The flip-side of the coin, however, is that several tripod companies have entered the market over the past couple of years, bringing with them less expensive, high-quality options. But when do you cross the line from “inexpensive” to “cheap?” A comparably sized tripod (with head) from 3 Legged Thing, Manfrotto, or MeFoto can vary in price from $195 to $400. Test a tripod in person whenever possible. See how stable it is with your gear mounted on it. If you don’t feel secure, try a different one. A tripod is a good first step towards eliminating camera shake. 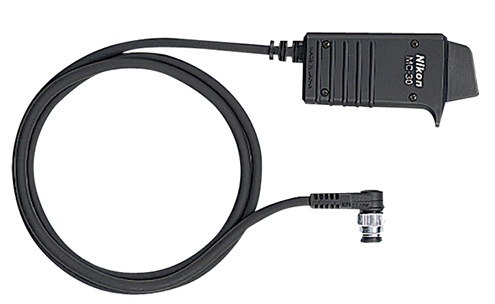 Another is using either a cable or wireless shutter release. This is going to be essential for long exposures, sharp macro photography, or even just getting yourself into the photo with family and friends. Be careful when purchasing, however, because many releases are tailored to specific camera makes and/or models. This is another one of those areas where you can spend a little or a lot. If all you need is something to trigger your shutter, don’t be afraid to spend a little less. Regardless of whether your camera uses CF or SD cards, at some point one of two things will definitely happen. You will either run out of space on your card or it will fail. Remember that not putting all your eggs in one basket thing I mentioned earlier? Same applies to memory cards. 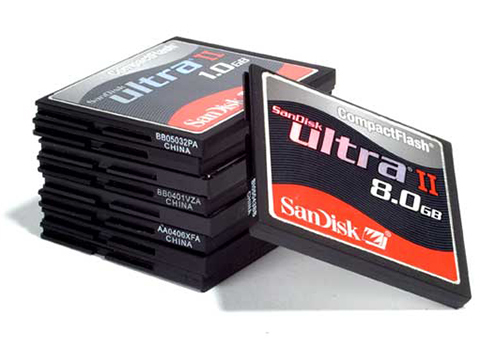 The cost has dropped considerably over the last few years, even among the major manufacturers like Lexar and Sandisk, making back-ups and peace-of-mind more affordable than ever. Clean glass is essential to good photography. While there are lots of options available, two of my favorites are the Spudz Microfiber Lens Cloth and the LensPen. Both are inexpensive, high-quality, non-chemical alternatives to keeping your lenses clean and clear. There’s a lot to learn when you get your first DSLR. A few essentials beyond the camera and lens can help make the learning curve much easier to navigate. You can also check out my 15 Favorite Photography Products Under $50 for more ideas. Do you have a photography “essential” that you always keep on hand? If so, share it in the comments. An 18% grey card is mighty handy too. Retrospective 30?! More like 5 or 7! Extra Batteries: Although I agree in theory, I never actually needed one on regular shooting days. Get extra batteries, if you go on a trip and have no chance of charging. If you’re just out for a few hours, you really don’t need this. Except, if you’re shooting video, then you’ll definitely need spares. Camera Bag: Only if you have more than one lens that you carry with you when you go out shooting. You don’t really need all the cleaning equipment on the go, either. Out in the field, a tissue solves most problems. Thorough cleaning is best done at home. External Flash: Only if you know what to use it for and plan on doing so. In my experience, most hobbyist shooters don’t need one at all. In my opinion, an external flash is something that you can get later when (and if) you actually need it. Tripod: Doesn’t hurt to have one. Just don’t spend too much on your first one. You can get a really good one, if you notice that you use it all the time. I’d recommend something really versatile, like a Gorillapod. It’s affordable, lightweight, small and strong enough for most DSLRs. 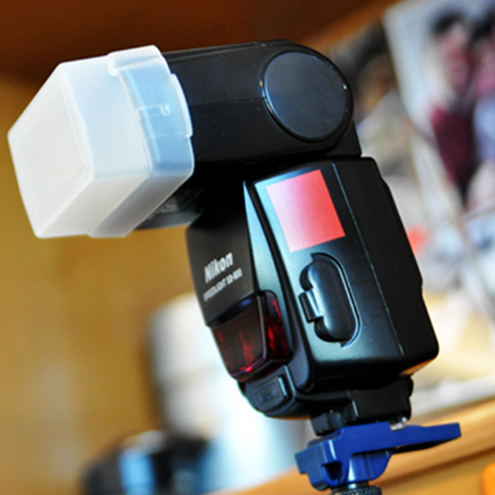 Shutter Release: If you use a tripod, then really get one of these. Preferably an infrared remote version. Without a tripod, these are almost useless. Memory Cards: Don’t go crazy here. I rarely carry more than two that can hold about 500 shots each. For my cameras RAW files, thats 8GB. And don’t buy the biggest, they have the worst price per GB. Lens/Sensor cleaner: This is really non-optional. Get on of those blow-ball-things, a soft brush and a micro fabric cloth. Seriously, just get them and use them when needed. At least, this is what experience I’ve gathered over 5 years with digital SLRs and mirror less cameras and about 8 with an analog SLR. On the other hand, it’s nice to have options. Some days, I just want a bag that will hold my camera and lens, and maybe a spare memory card. I have a small bag for that. Other times, I go full-on Tamrac Expedition backpack. When traveling, the Pelican case comes in handy. Great points, Wil. Thanks for joining the conversation. I couldn’t agree more with what’s on this list…the only thing I think I would add tot he list is a protective filter for your lens. Really handy if you’re shooting outside around sea-spray/dust/rain/snow etc. I’ve had 6V batteries (PX28) last for over a year without charging in my Canon A-1. But I carry extra PX28 batteries and extra AA batteries for the flash, motor drive, and charger for the smartphone. Instead of extra memory cards, I carry film. 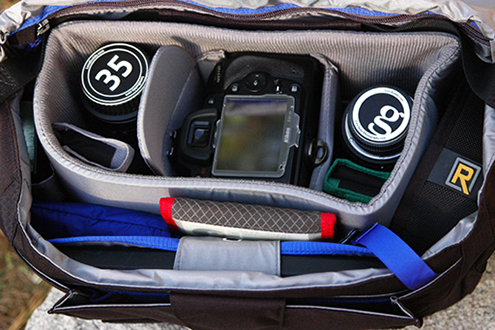 Camera bags: It’s amazing what my Lowepro Magnum 35 carries. My external flash is a Sunpak 522. 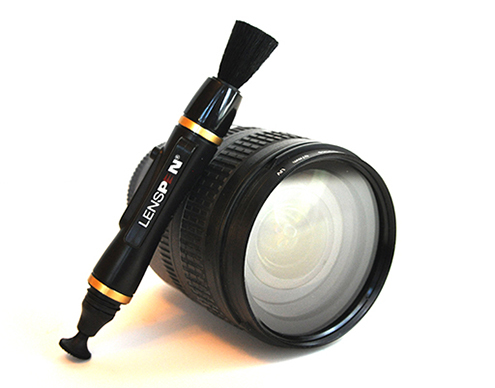 Lens cleaner: LensPen, microfiber cloth, and ROR. I replaced my Slik tripod with a Manfrotto recently. I’ve used the self-timer as an alternative to a remote shutter release, but I bought a used LC-1 controller recently. But, I got my first DSLR, 5D Mk III a few weeks ago, so now I need to invest in extra batteries and memory cards. A radio remote release was part of the kit. I was amazed that I could fit everything in the kit in the Canon bag. I just need to get another bag for the F-1N, or a bigger bag for the A-1 and F-1N. They won’t become shelf queens; I’ll still shoot film with digital. The T-50 will be a shelf queen. A battery grip gives you an extra battery (on board – can’t lose), and gives some substance to the smaller DSLRs (which are likely in the hands of many reading this article). Also – they look and feel cool – the alternative shutter release oozes with the experienced photog aesthetic. 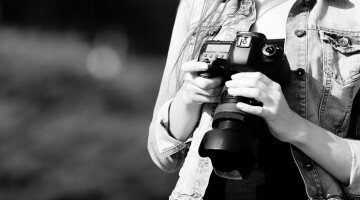 Hi, thanks for posting some accessories for DSLR camera. It is not only useful for the beginners but also helpful for other experienced Photography lovers. I’ve been shooting with a DSLR for 6 years now, and for about 4 of those years I had only the camera and a kit lens (a really solid kit lens) the first piece of gear I actually purchased was my tripod, and when I did it was like ooening up a whole new world of photography, like shooting at night without a pop-up flash or tons of blur, after a while of struggling with a tiny over the shoulder camera bag and having an extra backpack to hold my tripod while out wandering, I got the camera backpack that solves that nasty need of having two bags, and used this list to fill out the rest of my kit, and really I feel like ive opened up another entirely new world of photography with the speedlight i recently purchased, (which also included a wireless shutter release!) This list, while now seeming like total common sense, was a huge help when I finally made the choice to start actively investing in my photography. Thank you for putting it together to help those like me who really had no clue about what to get and when to get it!! I was looking for a blog where I could get answers to all my queries on DSLR accessories. I found your one to contain the most useful information, as well as the answers to all my questions. Your blog is very interesting. Keep Blogging!